For those of you who are graduating now and in the market for your first job, the professional recruiter might appear to be a mysterious entity that most of you are not quite sure what to think. There are three distinct types of recruiters/agencies that new grads need to be familiar with. These are the professional independent recruiter, the in-house recruiter, and the employment agency. Let’s look briefly at these three entities. This person may own his or her own company, work as an independent contractor for a recruiting firm, or be an employee of a recruiting firm. Regardless of the structure that the recruiter works in, and unless you are a perfect fit for this person’s job opening, you are not likely to be his or her top priority. That doesn’t mean you should ignore the professional independent recruiter. They can help you; just don’t expect them to market you. The more you cooperate with the professional independent recruiter, the more you will benefit from the relationship. This person is usually an employee of the company in which they are housed. Occasionally, a recruitment firm might contract with a company to do all their in-house recruitment and do it in their facility, not the recruiter’s. However, for the most part, this person is an employee and works within the structure of the human resources department. They are paid by the company they are working for, but you will be more of a priority to them than you are to the professional independent recruiter. You are more likely to get an interview with this recruiter because she is going to look at a wider array of candidates for a specific job than the independent recruiter. Make sure these types of recruiters have resumes geared to their company, their openings, and how your training and skills fit their needs. The employment agency is usually a business entity that works for the candidate and their fees are either paid by you or shared between you and the company. In highly skilled jobs or ones requiring a specific higher level of education, the employment agency is not usually a player. They tend to deal with entry level, lower paying positions such as bookkeepers, accounting reps, telemarketing reps, and the like. The first two categories are the ones that can help you the most with the in-house recruiter being the most likely to do so. Since you are higher than basic entry level but don’t have the experience to lift you to a higher level, it is the in-house recruiter who is most likely to have the kind of job you qualify for. For the most part, you are not going to get that first job through a professional recruiter but it never hurts to have developed a relationship with and have your resume on file with a few of them. Put your energy as a new grad into the in-house recruiter as they are the ones most likely to get you a job without a fee. 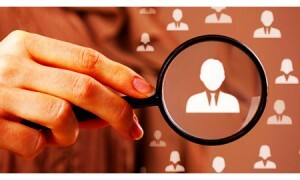 Recruiters help companies out by finding the perfect candidates for them. They make phone calls to the candidates either offering them a job or telling them to continue their job search. They help in your job search, answer your questions, and more. The bottom line is that recruiters help people find jobs, and that’s what recent grads need to know about them. Having a recruiter on your side can help a lot.